In the late 1960s, there was a movement towards class and money within the entire high performance automotive industry. Muscle cars- originally intended and made popular by the younger generations- was now an old man’s game (or so everyone thought, anyway). Chrysler was all in; they molded their style to be more Wall Street Journal and less Rolling Stone. In the midst of all this, Chrysler introduced the Plymouth GTX, marketing it as a gentleman’s muscle car. The Plymouth GTX was a great car; many would even say it’s a classic. I mean it had all of the amenities: heavy duty torsion and anti-sway bars, cast headers, four barrel 440 with extra-large throttle bores, unsilenced air filters, performance cam, simulated walnut grain on the interior, so on and so on. But, all of this just added up to higher prices, prices that younger people couldn’t afford. Plymouth was inadvertently turning off the entire youth culture. Of course, this wouldn’t have mattered if they were still making money, but their sales were less than stellar. 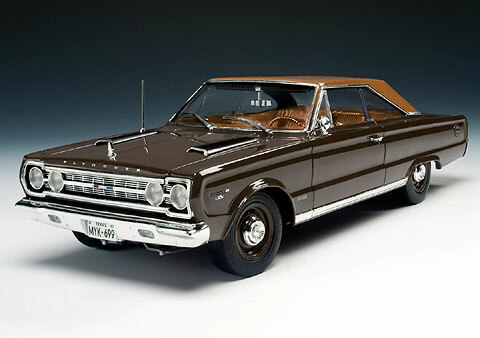 In 1967, the Plymouth GTX sold just 12,000 units (8.7% of their mid-sized sales efforts). More importantly, they weren’t setting themselves up for the future. If the young kids weren’t buying their cars now, why would they in the future? Basically, the company had lost all of its “coolness”. Not being cool is a very dangerous position to be in when it comes to sales. This is even more dangerous within the muscle car world, a world that was built on being rebellious and cool and controversial. Chrysler knew they had to do something, and they knew they had to do it fast. So in 1968, they rolled out the Plymouth Roadrunner. With the Roadrunner, Chrysler continued their tradition of creating excellent automotive machines. Jack Smith says, “The mechanical stuff was easy because Chrysler was blessed, at that time, with a fleet engineering operation.” The car featured an exclusive 383 CID (6.3 L) Roadrunner V8 and could run the quarter mile in 13.5 seconds while reaching 105 miles per hour. But with this car, Chrysler had to make sure that they weren’t isolating the younger audience. So, they made sure the car was cheap and affordable, offering it for fewer than 3,000 dollars. Chrysler did this by ripping out all of the extra B.S. that had become standard in their previous makes and models. And, Chrysler did it well. Since its inception, the Roadrunner has become famous for being bare bolts American muscle. Early versions of the Roadrunner featured just a few things, including: a basic cloth and vinyl bench seat setup, power steering, front disc brakes, and an AM radio. Some models didn’t even include carpet! Also, to make up ground in the youth market, Chrysler paid 50,000 dollars to Warner Brothers for the Roadrunner name and image. Chrysler even made their Roadrunner car horns go beep-beep like the famous cartoon character. Airing from 1966 to 1973, the cartoon was hugely popular at the time; using it for a car’s promotion was a daring marketing campaign. The investment paid off, though. 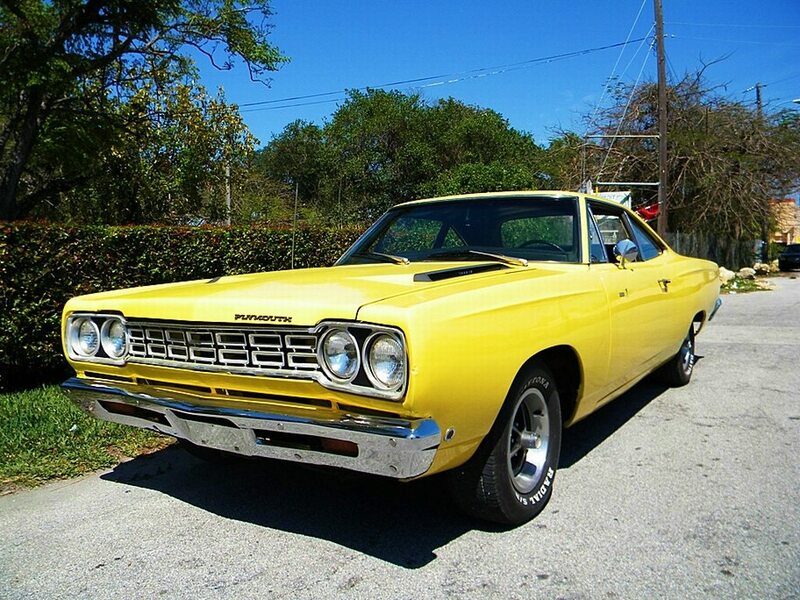 Chrysler sold 44,599 Roadrunners in 1968, nearly quadrupling the GTX sales from 1967! Over the course of history, the Roadrunner has gone down as one of the greatest muscle cars of all time (today, it can even be worth upwards of 60,000 dollars). It’s combination of muscle, strength, and a pure, cool image has rarely been rivaled and helped it to stand the test of time. This entry was posted in Chrysler and tagged 1967 Plymouth GTX, 68 Plymouth Roadrunner, Chrysler. Bookmark the permalink.